The library is available to workers, employers, and their representatives as they deal with issues in labour relations, employment standards, pay equity and workers' compensation. All Accreditation Certificates documents are in Portable Document Format (PDF). To display and print these documents as PDFs you must have Adobe Acrobat Reader (version 4 or higher) installed on your computer. You can download this free software from the Adobe web site. 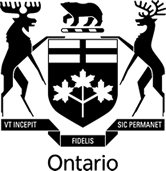 Below is an alphabetical listing of all accreditations granted since 1971 by the Ontario Labour Relations Board to employers' organizations in the construction industry as authorized by section 134 of the Labour Relations Act, 1995 or predecessor legislation. The system of accreditation was established by The Labour Relations Amendment Act, 1970 (No. 2), S.O. 1970, c.85, in force February 15, 1971. Decisions - When available, we provide a link to the full-text of the decision. When an electronic copy of the decision is not available / accessible we'll provide you with an OLRB Reports and / or Quicklaw cite. Note that reported versions are often abridged and, if so, are marked as such. Unabridged versions of these decisions and decisions marked "unreported" will be available only from the Library, to obtain access to these please contact us. NOTE: We are presently converting all unabridged and unreported versions of these decisions to a digital format and will be making them available via this product in early 2011. Dates - The date shown is the date of the OLRB decision in which the association was accredited. This sometimes differs slightly from the date on the certificate. If there is a discrepancy, then the date of the decision prevails. Geographic areas are approximate, (except for province-wide accreditations). Consult the decision/certificate for exact descriptions. The list of OLRB Construction Industry Areas can be found at the end of this document. For more information see the O.L.R.B. Construction Industry Areas publication. "sector" means a division of the construction industry as determined by work characteristics and includes the industrial, commercial and institutional sector, the residential sector, the sewers and watermains sector, the roads sector, the heavy engineering sector, the pipeline sector and the electrical power systems sector. In this list "ICI" denotes the industrial, commercial and institutional sector. The sewers and watermains sector was originally referred to as the "sewers, tunnels and watermains sector". The word "tunnels" was removed by The Labour Relations Amendment Act, 1975, S.O. 1975, c.76 which came into force on July 18, 1975 . This amendment appears to have been precipitated by a debate over whether subway tunnels should fall into the heavy engineering sector or the sewers, tunnels and watermains sector (see The Heavy Construction Association of Toronto,  OLRB Rep. May 245). Electrical Construction Association of Hamilton Inc.
Respondent: International Brotherhood of Teamsters, and Aldershot Equipment Inc.
Hamilton and District Sheet Metal Contractors Inc. Residential Framing Contractors Association of Metro Toronto & Vicinity Inc.
Terrazzo, Tile & Marble Guild of Ontario, Inc. Geographic Area: County of Essex..